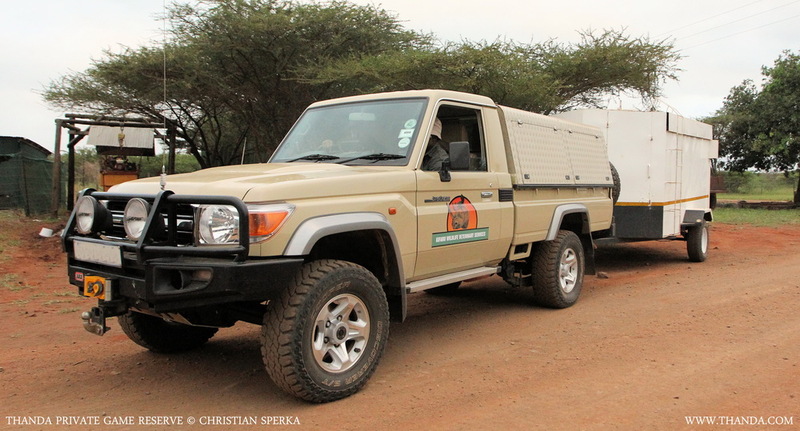 Mike darting the first male in the boma. 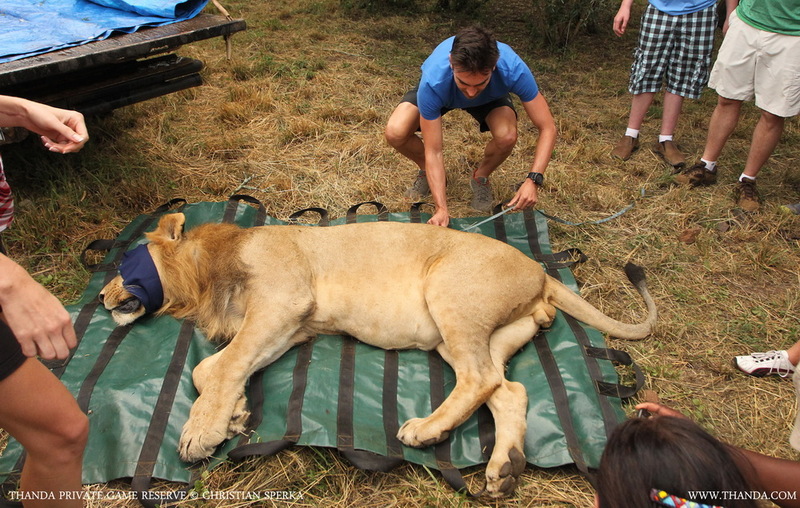 The other one was very upset about this and took quite a while before the vet was able to dart him as well. 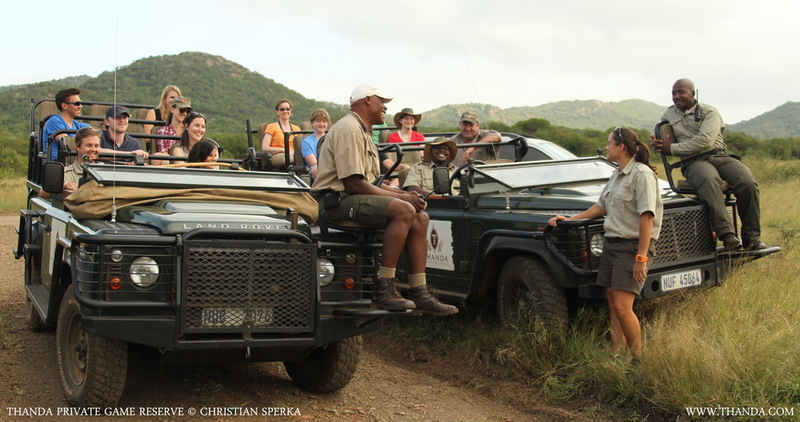 The guests are ready and excited to join operations. 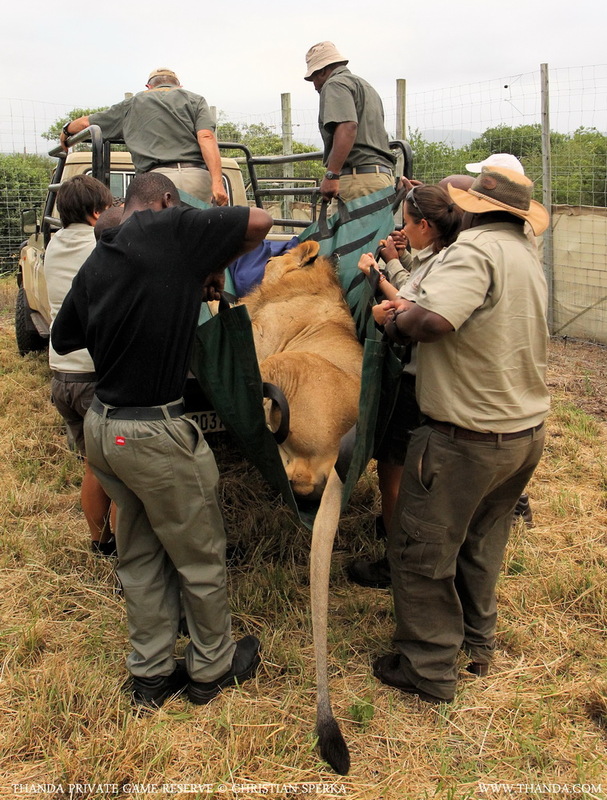 One of the sleeping Lions is being carried into the open for “processing”. A heavy task! 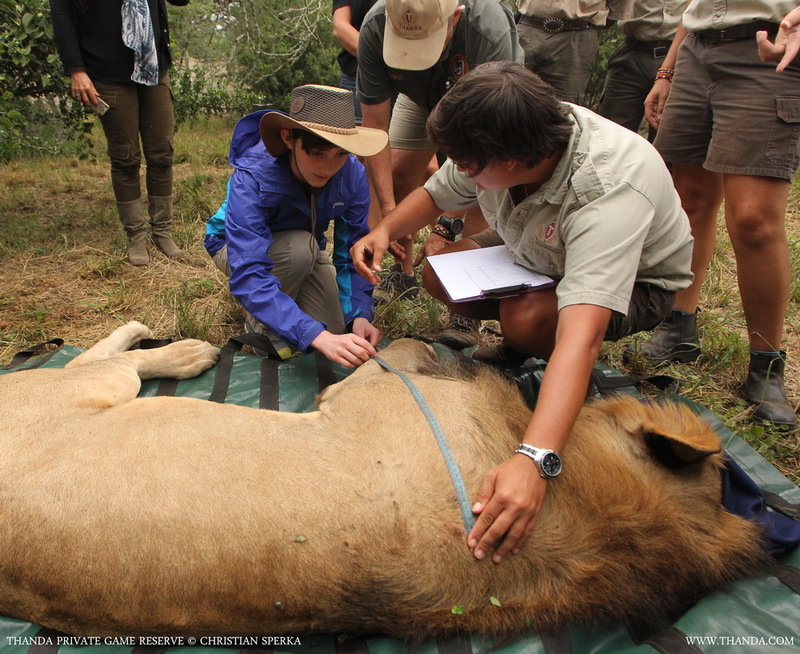 Our guests assist in taking measurements of their feet, body sizes and canines. 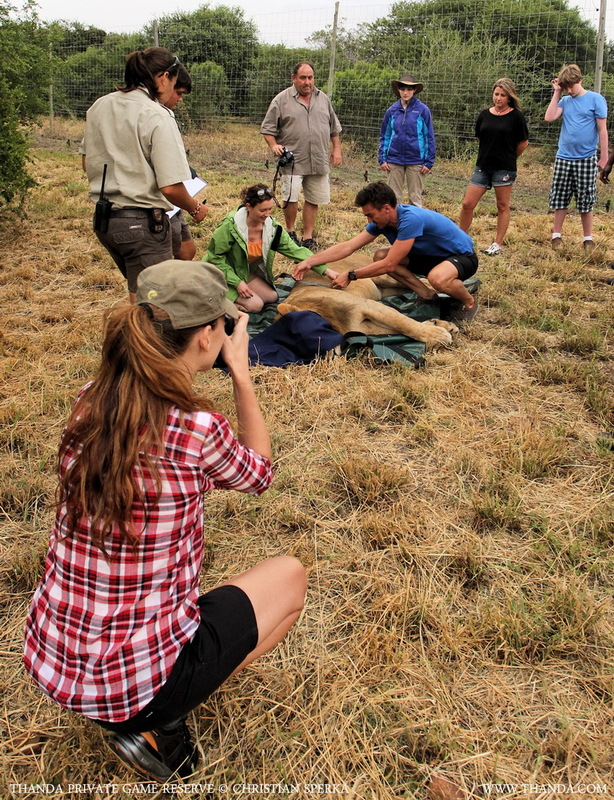 Surprised and delighted to participate in this very special operation many commented on the sheer size of these beautiful cats. 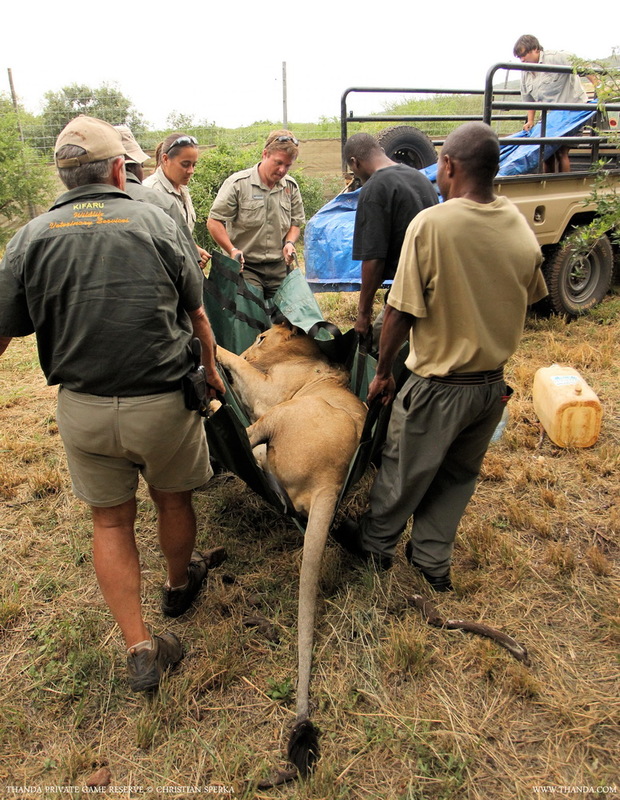 Loading the Lion on a vehicle for the ride from the boma to the transport vehicle. 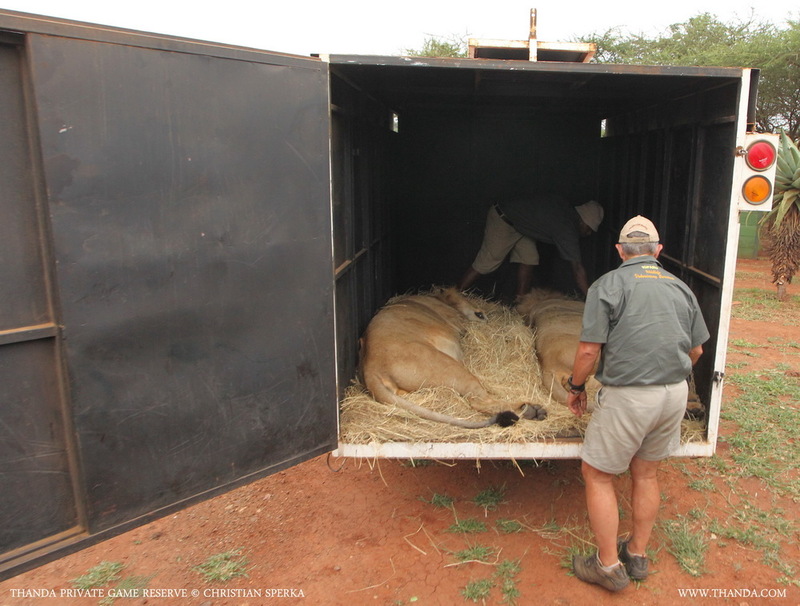 Transfer onto a soft “bed” for their 1.5 hour drive. 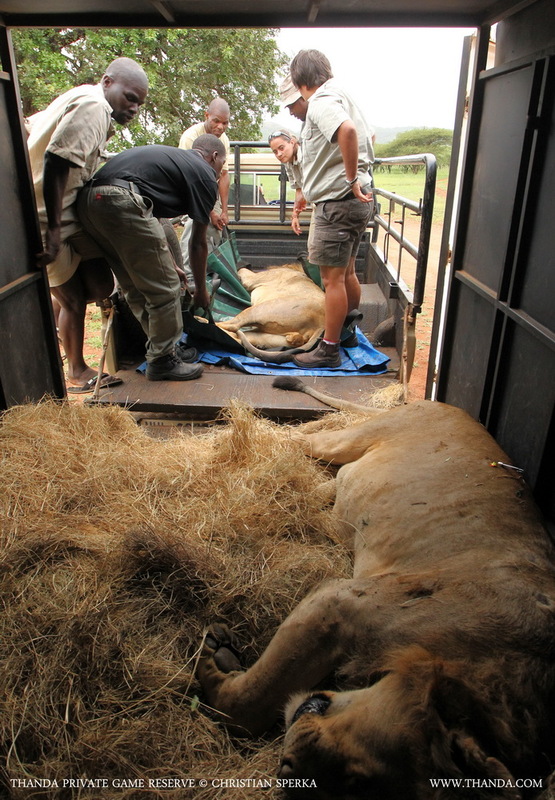 Finally, the The Lions are off to their new home. The new owners are already in love with these beautiful cats. Who wouldn’t be? 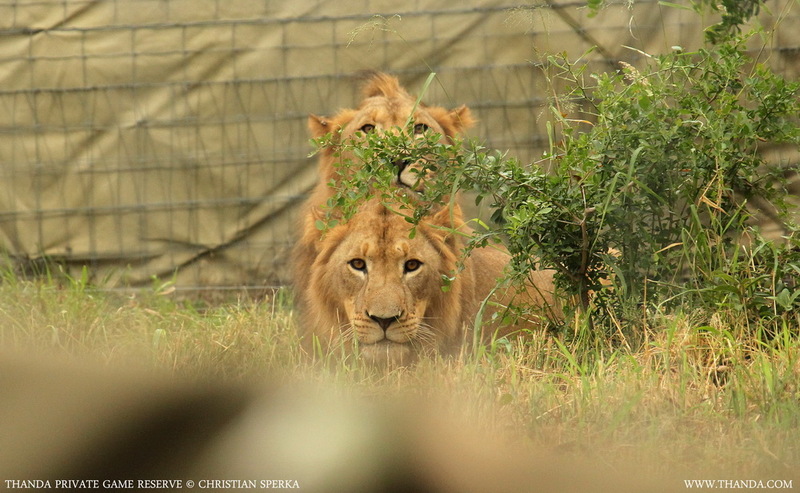 They were born and grew up on Thanda Private Game Reserve! ← The Last Bush Disco! Reblogged this on Christian Sperka Photography. 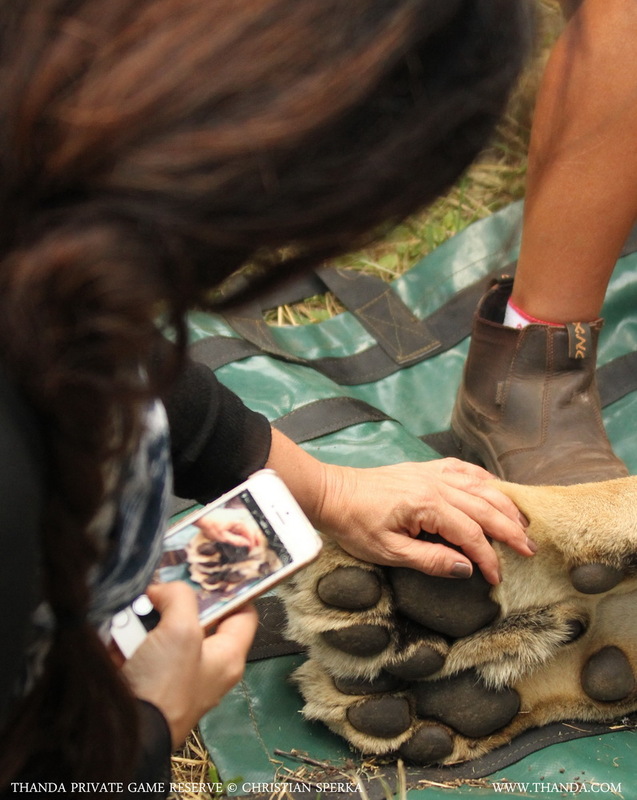 Wow, that photo of the womans hand with the lions paw was a shocker! You just don’t think of them being that large. Enjoyed all the images. Wish I had been there to see it first hand. 🙂 So happy to know that these handsome guys will soon help make beautiful new cubs! Will you keep us updated? 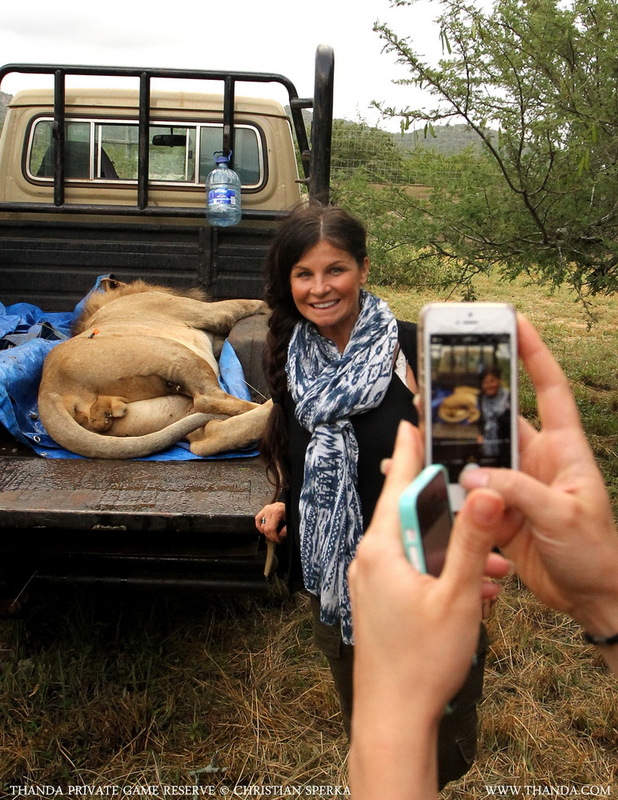 Maybe someone at that Copenhagen Zoo where they are assassinating animals should come train with you!